Born 2 September 1944 in Vevey, Switzerland, Claude is married to the former Susana Perez of Monterrey, Mexico. They have two daughters, Maya and Marina. He enjoys mountain climbing, flying, travelling and photography. Graduated from Gymnase de Lausanne, Switzerland in 1962 and received a Bachelor of Science in physics from the University of Lausanne in 1970 and an Master of Science degree in astrophysics from the University of Geneva in 1975. He also graduated as a Swiss Air Force pilot in 1966, as an airline pilot in 1974 and as a test pilot in 1988. Member of the Swiss Astronomical Society, the Astronomical Society of the Pacific, the Swiss Air Force Officers Society (AIVA) and the Swiss Academy of Engineering Sciences. Fellow of the British Interplanetary Society. Honorary member of the Swiss Aero Club and of the Swiss Society of Engineers and Architects. Four NASA Space Flight Medals (1992, 1993, 1996, 1999), the NASA Distinguished Service Medal (1999), Prix d’honneur de la Fondation Pro Aero, Switzerland (1992), Yuri Gagarin Gold Medal from the International Aeronautical Federation (1994), Silver Medal from the Academie Nationale de l’Air et de l’Espace, France (1994), Robert J. Collier Trophy (awarded to the crew of the Hubble Space Telescope recovery mission STS-61) from the National Aeronautic Association, prix de L’Universite de Lausanne (1994), honorary doctorates from the Swiss Federal Institute of Technology (EPFL), Lausanne, the Geneva University (both in 1994), and the University of Basel (2000). He was appointed professor at the Swiss Federal Institute of Technology EFPL, Lausanne, in November 1994. In 1998, the Einstein Society of Bern awarded him the Einstein Medal. From 1970 to 1973 Claude worked as a graduate scientist at the Institute of Astronomy of Lausanne University and the Geneva Observatory. He then joined the Swiss Air Transport School in Zurich and was assigned as DC-9 pilot for Swissair, concurrently participating part time in the research activities of the Geneva Observatory. At the end of 1976 he accepted a Fellowship at the European Space Agency’s (ESA) Space Science Department at Noordwijk, the Netherlands, where he worked as a research scientist in various infrared astronomy programmes. In July 1978 ESA selected him as a member of the first group of European astronauts. Under an agreement between ESA and NASA he joined the NASA astronaut candidates selected in May 1980 for astronaut training as a mission specialist and has been detached to the NASA Astronauts Office in Houston since July 1980. His technical assignments in the NASA Astronaut Office have included flight software verification in the Shuttle Avionics Integration Laboratory (SAIL), participation in the development of retrieval techniques for the Tethered Satellite System (TSS), Remote Manipulator Systems (RMS), International Space Station (ISS) robotics support and ESA Branch support. During 1988 he attended the Empire Test Pilot School in Boscombe Down, England, from where he graduated as a test pilot. Nicollier retired at the end of 2004 as a captain in the Swiss Air Force. During the time of his assignment in Houston, he maintained flight proficiency on Hawker Hunter, Northtrop F-5E, and later on Pilatus PC-9 aircraft. He has logged close to 6000 hours flying time, including more than 4500 in jet aircraft. From the spring of 1996 to the end of 1998, he was head of the NASA Astronaut Office Robotics Branch. 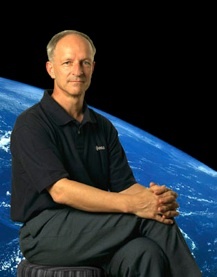 Until his retirement from ESA in March 2007, Nicollier was assigned to the EVA Branch in the NASA Astronaut Office in Houston. A veteran of four space flights, Claude has logged more than 1000 hours in space. He flew as a mission specialist on STS-46 in 1992, STS-61 in 1993, STS-75 in 1996 and STS-103 in December 1999. STS-46 Atlantis (31 July to 8 August 1992), was an 8-day mission during which the crew deployed the European Retrievable Carrier (EURECA) science platform, and conducted the first Tethered Satellite System (TSS) test flight. STS-61 Endeavour (2-13 December 1993) was the first Hubble Space Telescope servicing and repair mission, a joint ESA/NASA project. During the 11-day flight, the HST was captured and restored to full capacity through a record of five spacewalks by four astronauts. STS-75 Columbia (22 February to 9 March 1996) was a 15-day flight, with principal payloads being the re-flight of the Tethered Satellite System (TSS) and the third flight of the United States Microgravity Payload (USMP-3). The TSS experiment produced a wealth of new information on the electrodynamics of tethers and plasma physics before the tether broke at 19.7 km, just shy of the 20.7 km goal. Scientists on the ground were able to devise a program of research making the most of the satellite’s free flight while the astronauts’ work centered on research related to the USMP-3 Microgravity investigations. STS-103 Discovery (19-27 December 1999) was an 8-day mission. The primary objective was the repair and servicing of the Hubble Space Telescope (HST), in particular the replacement of six gyroscopes which are necessary to meet the telescope`s very precise pointing requirement. During this spaceflight, Nicollier carried out his first spacewalk (EVA), of 08:10 hours duration, to install a new computer and one of three fine guidance sensors. He is the first European to obtain EVA experience on a Shuttle flight. Claude Nicollier retired from ESA in March 2007.